There is nothing more than a fulfilling gift that a nice book. As a natural introvert, books are my best companion. My childhood is filled with memories visiting different libraries, and bookshops, receiving books as Christmas presents, then I became BFFs with many libraries back in my home city, just to gain access to those best books they have (which they tend to hide from most students, for some reason). Irregardless, I am lucky being friends with them. Few weeks ago, our office guard approached me and handled me a Fedex package. I wasn’t expecting anything during that week, nor from someone who can sent it to me by Fedex. Our guard knew it was important, judging from the box. It’s a book from LONELY PLANET! OMG, This is reaaaalll!!!! 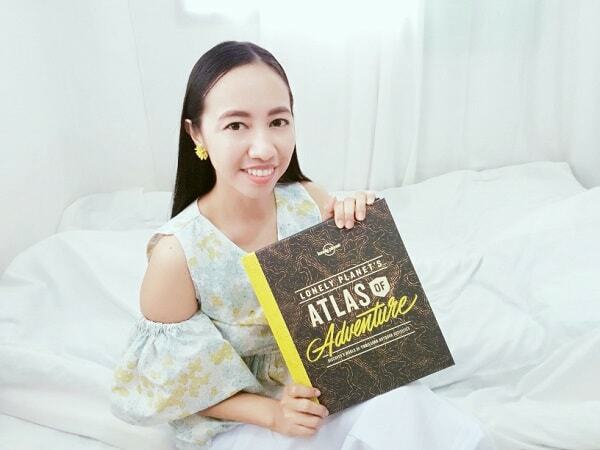 One of the most influential travel company, sent me their latest book, Atlas of Adventures. I was literally jumping with joy, and even sniffing its pages (if you are a booklover then you will understand) and smell its fresh pages, printed on acid paper. Lonely Planet’s Atlas of Adventure is an action-packed showcase of the best outdoor experiences in more than 150 countries across the globe. Featuring inspiring photography, maps, interviews and expert authors, it’s the ultimate introduction to a thrilling new world of adventure. The contents are well organized, featuring an alphabetically ordered romp around the globe, highlighting the best outdoor pursuits you can enjoy in each country. I heard that they tracked down their most adventure-loving experts, wherever they happened to be, and asked them to share their tips for the best places to experience thrilling outdoor activities. So it’s like a collaborative effort of both travelers and Lonely Planet, which makes this book special. They also features their recommended Top 10 Adventure Highlights around the world, which is pretty exciting for most adventurist travelers. It has a complete guide maps, tips what to bring and so, etc. They featured many sites from east to west, and then it hit me. 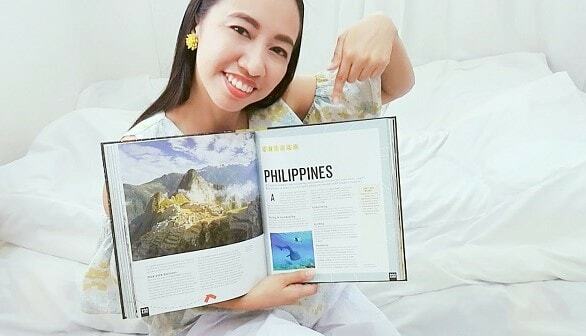 Did Lonely Planet also features the best adventure places here in the Philippines? For the Philippines, Lonely Planet features the best places where to do diving & snorkelling, canyoning, surfing, and trekking. They recommend enjoying the clear, calm water, and dazzling arrays of coral garden and abundant marine life from Apo Island, visiting the wrecks of the Morazan Maru in Coron Bay, and the USS New York in Subic Bay, then enjoy snorkelling with whale sharks off Cebu. If you are an amateur canyoneers, you may check the relatively mild Kanlaob River, while experienced canyoneers will enjoy descending 15-individual waterfalls on the Sampao River. On Siargao Island you’ll find powerful, barrelling reef and beach breaks in more than a dozen locations, best of intermediate to advanced riders. And beginners, the book suggests to take more luck at Zambales or Baler. For trekking the Taal Volcao Trail have that incredible views. At the other end of spectrum, remote and challenging Mt. Guiting-Guiting awaits the committed. And of course, Lonely Planet never forgets to include the unforgettable, postcard-worthy vistas of the terraced rice fields at Banaue in Ifugao Province. They also added Cagayon De Oro as one of the best rafting adventure in the country. What a great feeling to have this book! I know that my travel personality is more about luxurious travel, and taking a full-globetrotter adventurer is not (yet) my thing. However, this Atlas of Adventures is telling me something of what I’m missing. It’s like Lonely Planet is giving me a sign, to take another leap of exploration because there are many things out there that will be worth my time, and captured genuine stories. Lonely Planet has featured a dazzling array of outdoor activities across 24 different Asian countries in its Atlas of Adventure. From “a dizzying dose of precipitous adventure pursuits” in Bhutan, to “trekking, biking and rafting on the roof of the world” in Nepal, a “right royal paradise for ramblers, runners, riders and climbers” in Thailand to “untamed rivers, colossal mountains and mystical caves in Malaysia – this is just the tip of the iceberg with many other countries featured including: Cambodia, China, Indonesia, Japan, Philippines, South Korea, Taiwan and Vietnam. I like how concise and informative this books, and the way they lay-out all the information needed by an adventurous traveler. It is also a collaborative effort my many travelers around the globe, which make this more special. Also, I recommend this book as a perfect give for most travel enthusiasts. 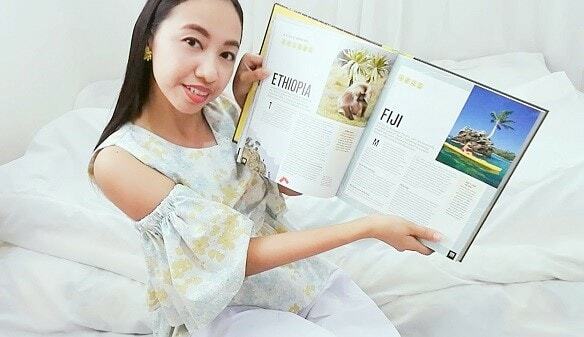 Do you still buy and read travel books? What is your favorite travel book? Let me know your thoughts by leaving your comments below. For now, I need to immerse myself to this book with my hot chocolate drink. What a lovely review - and great pics of the book and the Fully Booked display! Love this book! That's awesome Alison. I'm sure they will love this travel book. I love reading and love a good book. I don't read travel books enough, but when I do I definitely enjoy them. I love researching places that I will hopefully go one day! Wow this looks like the perfect gift for my husband these holidays. He will love it! so curious of the destinations! I would problably us the whole book as a bucket list!😂 I am glad that the book opened your travel sense a bit widder and I hope you will get out there to explore the beautiful earth we are living in! Yeah I hope so too! Thank you Dada! You can grab a copy of this book available online. I love books as well! Lonely Planet’s Atlas of Adventure looks like an amazing book with tons of information layed out in a way that's fun to read. I agree. And it was very detailed and of course the photos are very inviting! This looks like a fantastic book. I'm also an introvert, so reading is one of my favorite things to do. Maybe your kids will like this book too! It looks like a fun book! I would love to review a book soon. Lonely Planet has a good reputation with good writers contributing, so I can imagine that this new book is of equal quality. I am glad to know about it. I agree Deborah. I've been their fan and always sneak the bookstore to read the open copies, and I always enjoy their photos and stories. This book looks awesome!! I want to jump right into that Fiji page! Thats my dream destination! I don't think I've ever picked a travel book up in my life, but this one looks so beautiful! Oh, I can imagine your excitement when you received this book:-) Your reviews are great and I love that you took pictures of some pages for readers to see. This sounds like a must-have book. This would be a great book so I could see all the wonderful views without traveling. Although I would love to travel to many of these places. Completely sympathise with you re books! My mom still tells everyone that I "finished" the library by the age of 11! :) The book looks beutiful! Hahaha so true! Mothers are always funny. This sounds fascinating! I have never own any travel book or magazine. I'm gonna give second thought now! Thanks Sadaf! Buy it now, and not let the opportunity pass. Wow what a gorgeous book! This is something that my eldest son would absolutely love for Christmas this year! I bought, I would have much preferred together it for free. Its a beautiful coffee table book I am glad I have as a resource. yeah, am so thankful Lonely Planet PR sent it! I sniff my new books too! There's something about it, right? It's one of the reasons I don't like e-books. This looks like a lovely book. I recently read a travel guide for Greece. Yeah you can't smell e-books. The scent is part of the experience. Travel books are so fun to read and look at! 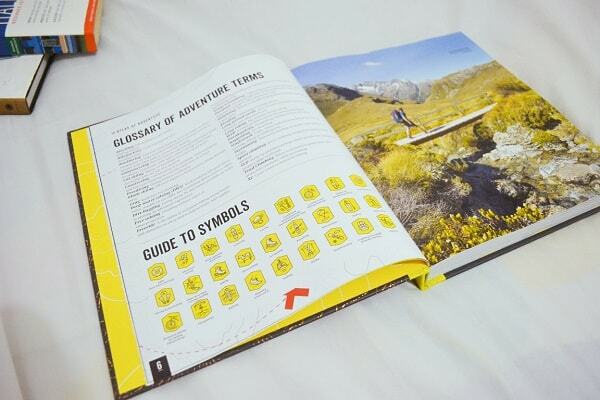 Atlas of Adventures looks and sounds like an amazing book to get your hands on! Absolutely! Only the grumpy travel-Grinch will only says no for this book. I love books so much, especially that new book smell! We go to the library every weekend and leave with a stack of at least 30 books, it's wonderful. 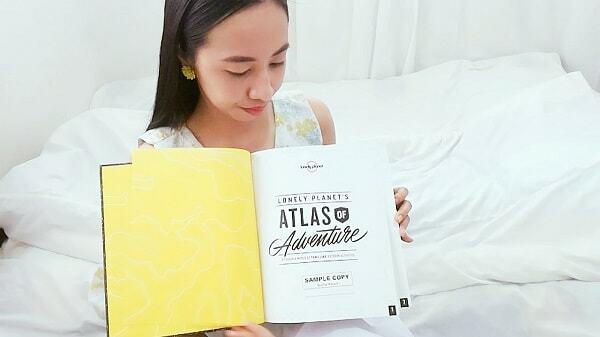 The Atlas of Adventure book looks like one I will need to own to plan my next adventure! We are both book snifters! What a great sounding book from Lonely Planet the photographs look beautiful I would love to check through it myself. OMG its the effect of this book! That's so cool they sent you a book, I know about Lonely Planet too. I'm sure you're enjoying the read! I love books too. Lonely Planet's Atlas of Adventures sounds like an amazing book full of great information, and beautiful photos! I imagine kids will like this book as well. Lonely Planet’s Atlas of Adventure is the perfect book for my family. I will have to add it to my wish list. I have a very similar book on my coffee table. It's a great conversation starter. I love this book. It is such an interesting book. Thanks for sharing. You're welcome Ophelia. Hope you can save this for a gift to someone! I must admit, while I no longer buy travel books, this one looks quite good. Big, thick, and packed with information! I know right! This hardcover book is hard to resist. A perfect coffee table book for travel dreamers. Great Christmas gift idea. That's awesome Gerome! 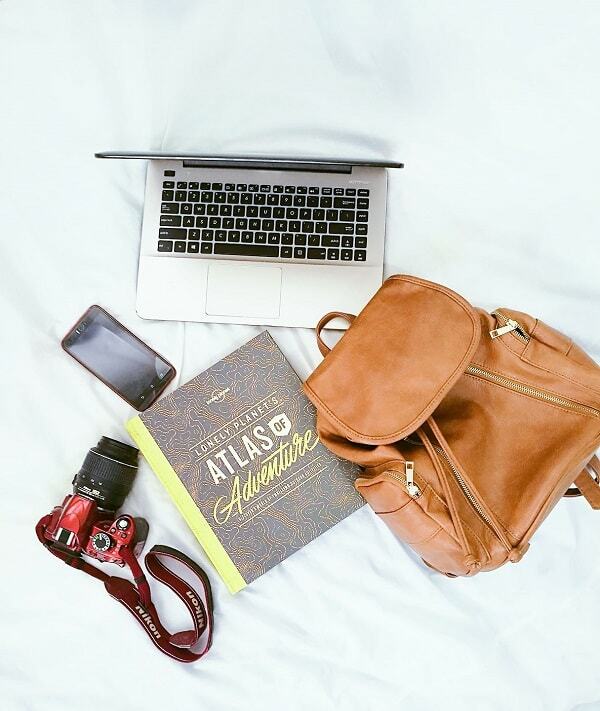 I can't wait to read your travel stories very soon! Where are you guys heading first? Thank you Aine, for visiting! YOu look like you really enjoyed the book. As a fellow wanderluster this looks like a great read! Thank you Kiwi! Yeah I am enjoying it and I feel like I can read it over and over. Exactly! And they have niche travel books, I can't wait to check the others. I would love to just look into that book. Must have some great information Inside. I love reading books especially in free time. But I haven't read any travel book yet as I belong to kashmir and Kashmir is the world class place to visit so I never read any travel book. This looks like a great book! The photographs are stunning! Yes it is :D I will treasured it most. This book looks great. Definitely full of really helpful information and beautiful pictures. I'll have to keep a look out for it! Thanks for sharing! Oh you must have it Nicole! This seems like an awesome gift for travellers or those looking for an adventure! Its perfection! And also for kids! 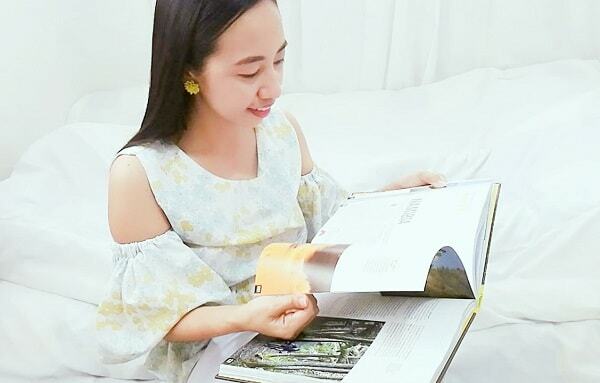 I love to read and I am always looking for new adventure destinations! I will have to add this to my Christmas list. I am a huge lover of books! 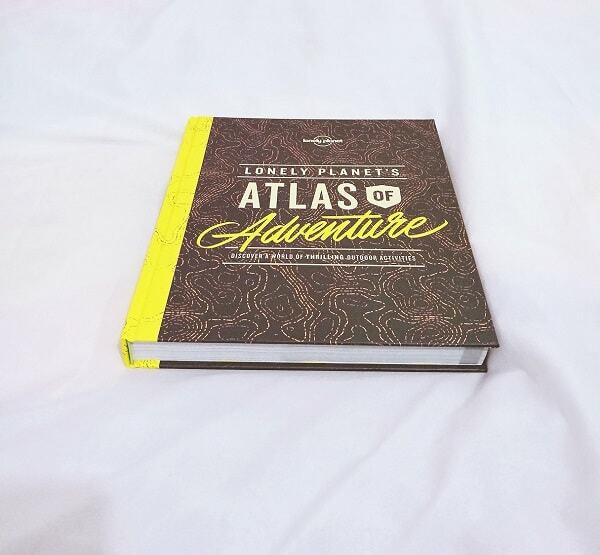 This Atlas of Adventures by Lonely Planets sounds like a book I would spend hours looking at! I always love buying and being given beautiful coffee table books too! I often buy photography books but I love anything like this one that give me ideas on where to visit on vacation. Yeah its a good conversation starter. I love books and love reading good books! 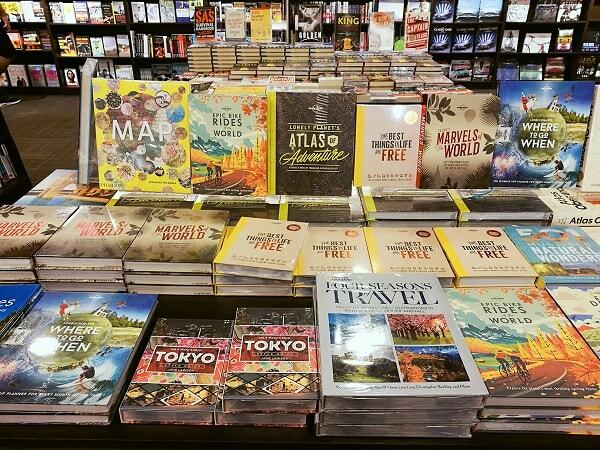 and Lonely Planet’s Atlas of Adventure looks like a great book! I will definitely add it to my list to read it later, thanks for sharing! Exactly! It makes me feel more proud that Philippines is included in the list. 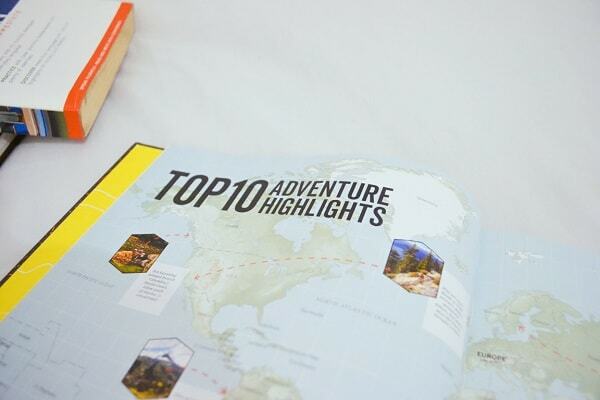 This book is perfect for travelers. I havea handful of travel buddies who might enjoy it. Grab one because this book deserves to be yours. Really good review! I don't have the time to travel wherever and whenever I want,that's why I love reading these kinda books. Books makes you travel anywhere! That book is such a great idea! OI think it will make a really great gift to the local hiker! Yes it is, you must grab one! I love the smell of a new book. This book would be awesome for avid travellers. I really like the quality of the photos in this book. So glad you like this book. Ooh this looks like an awesome book to get ideas of where to go! What a rad gift! Oh my gosh that is such an amazing book, that would make the most amazing present or gift to someone! So cool! I don't get to travel as much as I would like so I would love this. Such a pretty cover too! This sounds like a good book to read. I will definitely get one for myself. I totally get the new book smell thing! I love the smell and there's always that sense of anticipation as you're opening it for the first time. Looks like such a fun book! Totally fun and flipping the pages makes me more into it. Love it! It does look like such a beautiful book. I am sure that it would be great for travel and other things like that. I will have to see if my library has it. I love your photos. Lonely planet has always been a favourite of mine too. So useful when you are planning your travels! Lonely Planet have gained their good reputation. Very reliable! Thank you dear, and a great gift for your adventurous travel geek friend! I love reading books. I consider them my best friend. It’s exciting to get a new book unexpectedly and I can see you sure loved it. That is great that you love books! All these posts about travelling just makes me leave my job and go on adventures, must get that book now! Oh don't quit your job, just take this book! Wow! Congratulations on this surprise gift from THE Lonely Planet! I was not surprised to read about Taal Volcao Trail in the Philippines - a must for travelers to this beautiful country. Hope you visit the other adventurous places! How exciting to receive that book! Lonely Planet is such a high quality travel publisher, and you covered the book well. Thank you dear! I love this book, and now my little sister loves it as well. i cant wait to get my hand on this book, it seems so informative and very exciting to read. wish i can have one. Check your nearest bookstore for its availability! As a travel blogger I am so curious of the destinations! This books gives me all compact and precise description all destinations.Thanks for sharing. You are welcome and hope you grab this book! I agree and they never disappoints me. Love the review! I've always looked up to lonely planet since I am fond of travelling. Thank you for this! They are the best and credible! i envy you, I love reading but I just can find the time to seatt and read the way I want. Nice review. I like the fact that this book is a collaborative effort and that it covers a variety of places countries. You've done a good job teasing the appetites of would be readers to come sample Lonely Planet. Thank you Ingrid! I have another book coming up for review, also from Lonely Planet! This book has some great travelling collection and the pictures look awesome !! I agree! Their content creators are sooo talented! 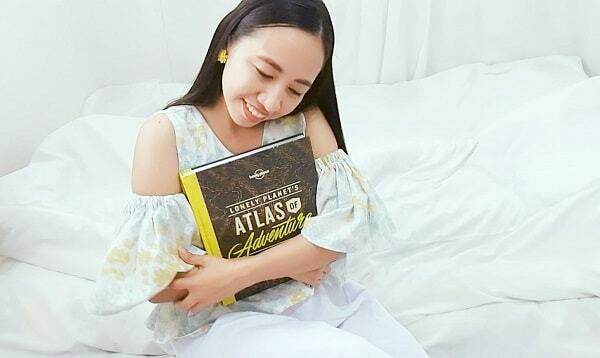 Wow, you received Atlas of Adventures from Lonely Planet. I love such kind of travel books because they have best travel photos and ideas which we don't find anywhere else. As you have said, all places are alphabetically arranged and have list of all adventures of that particular place, I am going to buy this book. Thank you, and you should grab it! I also received a complimentary copy of their latest Global Coffee Tour book!